Nope, air conditioner it is! L-degree.com was created by Julian Cole and Kristian Henschel. 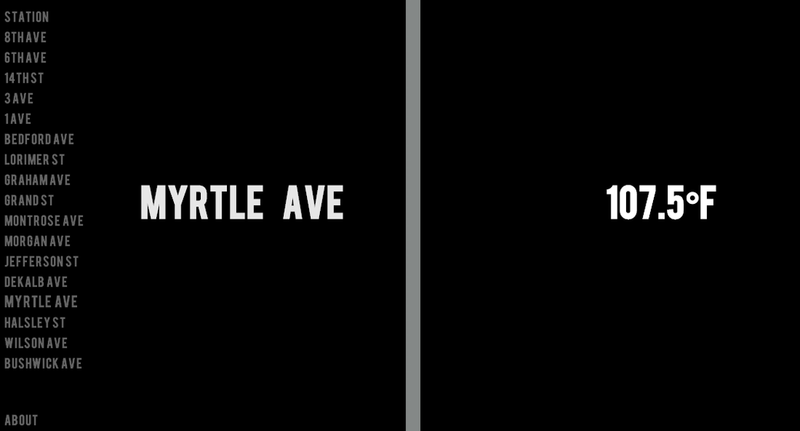 "Waiting for the L train is a painful experience," the website reads. "This is due to 'heat sink,' which is when the heat from the buildings and sidewalks transfer heat outward." 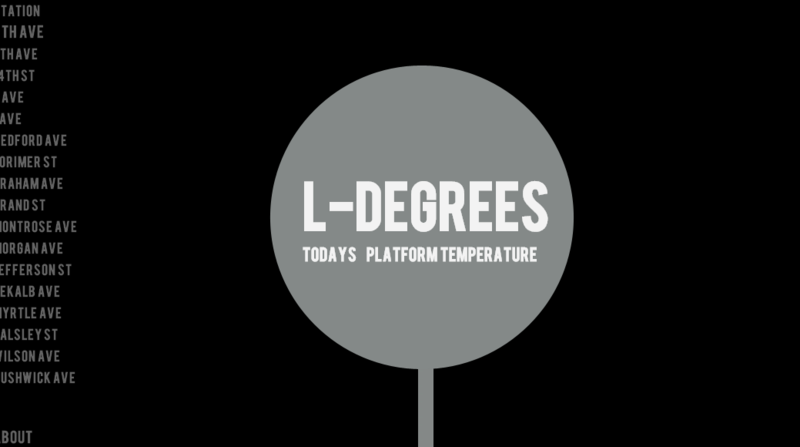 L-Degrees uses the above temperature and data collected from countless readings, looking at the difference between the temperature above and on the platform, informs the site. And even if this site doesn't make the waiting any more pleasant, at least we know what temperature we're diving into beforehand. Thank you L-Degree.com!